If you want to completely disable updates in Windows 10 (which is a terrible idea BTW), this is the post for you. As you know, Microsoft releases Security updates along with other updates every two weeks for Windows 10 users to download. The updates are good, but the way they are delivered to the users is certainly not. If you have been using Windows 10 for more than a week, you may have realized how it automatically downloads and installs every update without your permission. This may or may not be a big problem for you, but it is causing a lot of hue and cry among the users who lose a lot of their work when the Updates cause Windows 10 to restart itself automatically. Or when it hogs all the bandwidth, or when it doesn’t even install. If you are one of those people who feel that they should have the control of what goes in and outside of their computers then there is a way to completely disable these updates. Note: It’s quite unnecessary and unsafe since your PC will be vulnerable to the exploits that show up everyday. Don’t perform these steps unless you know the risks. 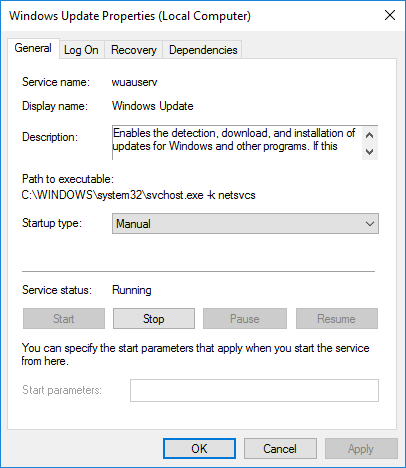 To disable the updates, you will need to pause/disable the Windows update service using the Services Manager. Once disabled, the service won’t be able to contact Microsoft’s servers to check for any available downloads. This will stop it from installing anything on your PC. 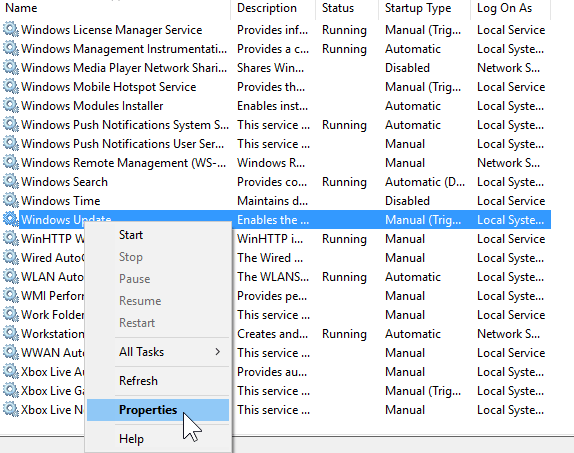 Search for Services in the Start menu search and open Services Desktop app. In the Services Manager, locate Windows Update. It should be at the bottom of the list of services is sorted lexicographically. Right-click on it and go to the Properties. In the General tab, set the Startup type to Disabled. This step will stop the Update process along with all its components. In the Service status, click on Stop. Stopping the service will stop it from working without restarting your computer. Click on OK and restart your PC. All this, of course, will only work until Microsoft decides that it shouldn’t. This is when you will need to check something else. If that stops working, I’ll update the post with the new method. Why hasn’t someone created an app which rips out everything windows update from wn10 and replaces it with a custom app which allows the user to download and install updates under their own control ? Well, Microsoft doesn’t want people to stop having updates. Stopping them will lead to people having vulnerable computers thus disregarding security of millions. In the earlier versions of Windows, Microsoft has realized how allowing people to stop updates results in a lot of people stopping them entirely. It’s also a safety mechanism to stop another Win XP and 7 situation where even after the release of Windows 7, more than half of Windows users were on XP.